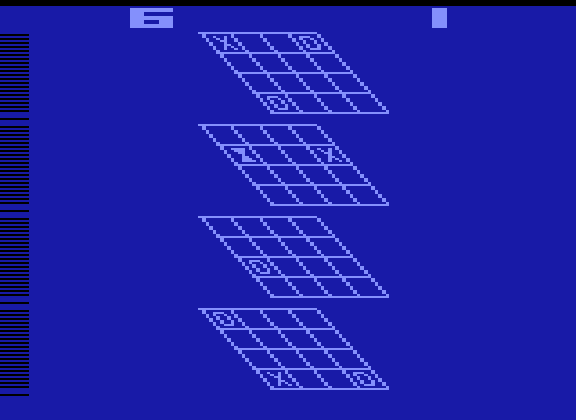 Atari 2600 – 3D Tic-Tac-Toe. 3-D Tic-Tac-Toe is exactly what it sounds like. A three dimensional version of the classic Tic-Tac-Toe. Instead of the traditional goal of getting three Xs or three Os in a row, vertically, horizontally or diagonally, you must get four in a row on a 4x4x4 board. 3-D Tic-Tac-Toe was released for the Atari 2600 in 1979 and can be played by two players or one against the computer. What originally surprised me about this game was that it wasn’t unique to the Atari 2600. 3-D Tic-Tac-Toe, otherwise known as Qubic (and a few other names besides). Unfortunately, Tic-Tac-Toe, even in its 3-dimensional form, isn’t all that compelling. The 3D nature of this game makes in interesting for a while but you will likely grow tired of it pretty quickly. 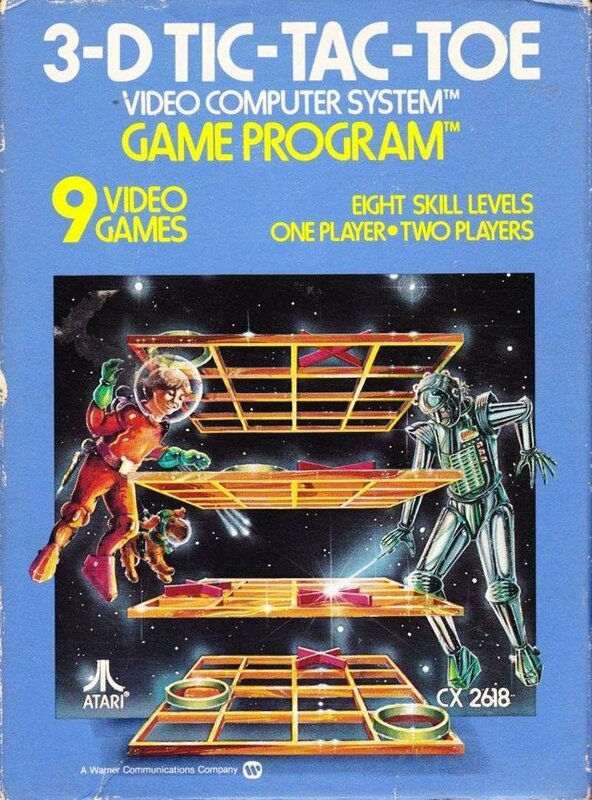 There were a few other implementations besides the Atari 2600 version. Around the same time that verions was released, a nearly identical Atari 8-bit computer version was also released. More recent releases include a version on the Microsoft Windows Entertainment Pack called TicTactics in the 1990s. This version was also available via Microsoft’s Gameroom service for the Xbox 360 in 2010. As a side note, the creator of the Atari version of the game, Carol Shaw, went on to also create River Raid. If you want to play 3-D Tic-Tac-Toe, the Atari 2600 version is probably the easiest to find. This version is also easy to emulate if you want to go that route. Another option is to play this game via one of the Atari Flashback consoles. I know that it is at least available on Atari Flashback 7 and probably on other versions as well.